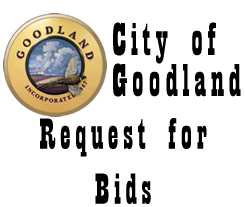 City of Goodland – Kansas Begins Here! 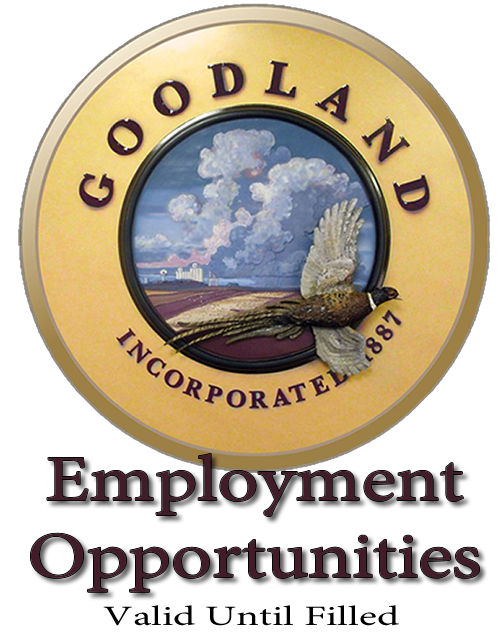 The City of Goodland is accepting applications for Summer Help in the Public Works Department. Applications are available in the City Office, 204 W. 11th or at www.cityofgoodland.org . Applications will be taken until positions are filled, the City is an E.O.E. The main access in front of Walmart off Highway 27/Commerce Road will be closed for repair and replacement beginning Monday, April 15 and will remain closed until Friday, April 26. Please obey posted signage and use the alternate access points. We apologize for any inconvenience while we fix this road! There will be a temporary power outage on Thursday, March 21st at 5:00am. Power should be restored in 5 minutes or less. If you have any questions, please call the City office at 785-890-4500. Thank you for your understanding. There will be a temporary power outage on Thursday, March 21st at 5:00pm. Power should be restored in 5 minutes or less. If you have any questions, please call the City office at 785-890-4500. Thank you for your understanding.